Our water coolers come in two distinct types. There are those that are plumbed into the mains water supply, and the free standing dispenser with the replaceable water bottle that sits on top. Both can be supplied with a hot water option. All our water coolers are available to trial free of charge. At AquaPoint we offer both types of water cooler. 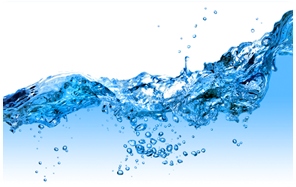 We will give you completely objective advice as to which water dispenser is the most economical for each location and what deal is best for you. A simple agreement – We will reconcile your account just once per year, give you a statement and invoice you just once for any extra bottles or cups you have taken during the year (over your package allocation) Easy to budget… Cap your costs… Less paper! Our Simple all inclusive deals are cheaper than our usual list prices and in return, we ask for a monthly direct debit payment. Reduce your bottled water costs, no bottle storage or ordering – No extras, all costs are fixed. If you prefer a water cooler plumbed in to your mains water supply or you’re not sure which dispenser would be best or cheapest for you, we will visit for a brief survey. Give us a call us on 03700 555 333 and we’ll make an appointment to do a FREE site survey and give you advice as to where the water coolers are best sited. No pressure or obligation and we won’t keep you talking for hours! If you need a formal proposal to present to your colleagues then it will be with you within 48 hours of the survey.